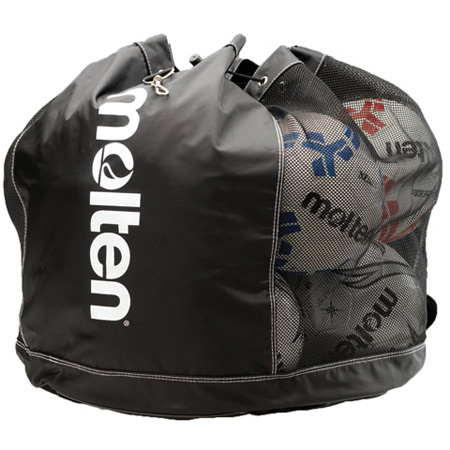 Round nylon/mesh drawstring equipment bag. Holds up to 12 inflated official size volleyballs. Convenient shoulder strap.